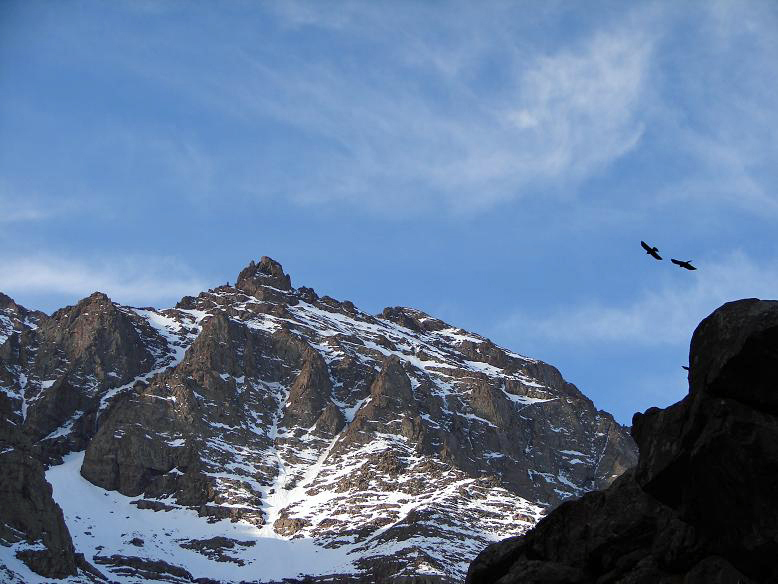 The mountain of Toubkal is a mountain peak in southwestern Morocco, located in the Toubkal National Park. 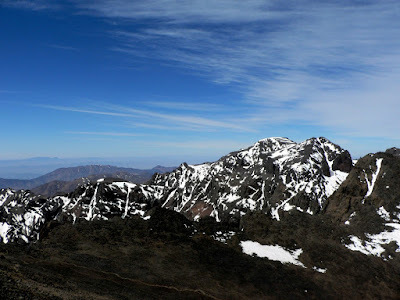 At 4,167 metres, it is the highest peak in the Atlas Mountains and in North Africa. 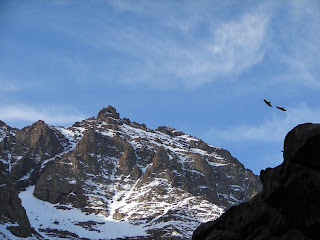 It is located 63 km south of the city of Marrakesh, in the Toubkal National Park. The first ascent by Europeans was on 12 June 1923 by the Marquis de Segonzac, Vincent Berger and Hubert Dolbeau, but the mountain may have been climbed before that date. Trekkers usually approach the mountain from the road-end village of Imlil. Qualified local guides can be hired, as well as mules and porters, to carry equipment and food supplies higher into the mountains. For experienced mountaineers, guides are not required for the normal route, as it is an easy hike and orientation is not a problem. The normal route starts with an easy walk to the village of Aroumd. Past Aroumd a floodplain is crossed and the route follows the left slope of the valley southwards. The valley bends to the east to the tiny settlement of Sidi Chamharouch, which has grown around a Muslim shrine. At Sidi Chamharouch, the path leads over the stream and runs steeply uphill to the right side of the Isougouane valley, which leads to two stone-built refuges (old Neltner Refuge and new Refuge du Toubkal) that are often used as base camp at 3,207 m (10,522 ft). It is possible to buy good meals in the Refuge du Toubkal. Tents can be pitched near the refuges for a small charge. From that point a path crosses the stream, climbs a steep scree slope to the east and enters a valley (corrie), then climbs another steep slope to reach a col (Tizi'n'Toubkal at 3,940m). At the col the route turns left (northwards) to the summit ridge of Jbel Toubkal. The 4,167m summit is crowned with a curious pyramidal metal frame and views take in most of the Atlas and Little Atlas Mountains. The ascent during the summer (from May) is non-technical and easy, only complicated by steep and slippery scree slopes and altitude sickness. Sturdy boots and proper (windproof) clothing are required, and trekking poles are helpful on the scree. An ice-axe may be needed on the remaining snowfields in the early summer. It is possible to climb the mountain in two days - first day up to the refuge (around seven hours without mules), second day to the summit (around five hours) and back to Imlil (up to five hours). In summer the mountains can be very dry, but are sometimes subject to storms. Although the temperature should remain above zero during the day, freezing conditions are possible over 3,500m. 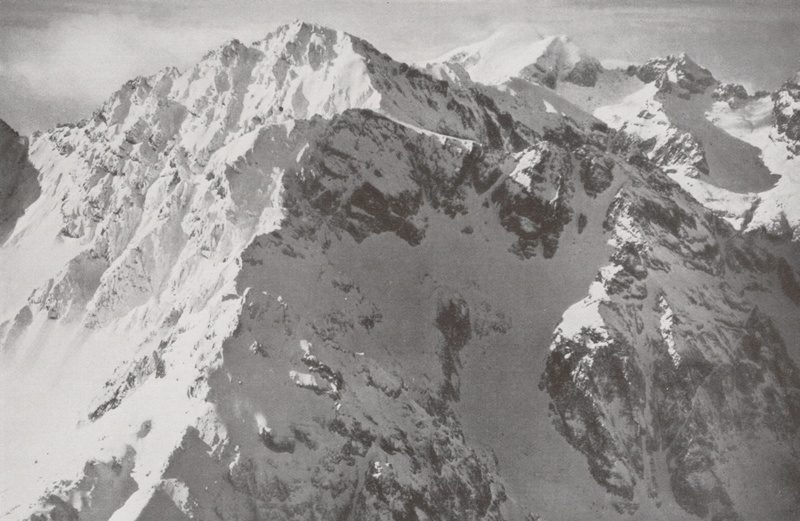 In winter the mountains are covered in snow and ice, and can be prone to avalanches. Skiing is possible as the snow can lie to considerable depth and cover many rocky slopes. Information about state of the route can be obtained at Marrakech tourist offices or at Imlil.